We are happy to announce that European Conference on Educational Research (ECER) is again supported by – conference mobile assistant – Conference4me. This year, conference will take place in Istanbul 9-13 September. 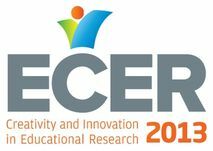 Previous ECER (2012) conference has taken place in Cádiz (Spain). ECER is organised be EERA (European Educational Research Association) every year since 2000. Conference goal is to promoting educational research in Europe and of fostering cooperation between associations of educational researchers.